Sooooo my report cards are FINALLY done! They seem like they took FOREVER this time (it might be because I kept getting sidetracked with blogs...giveaways....and sales) but they are done and out!!! I created a sheet to put in with our report cards that explains the Fountas and Pinnell guided reading levels that we use. We explain the levels at a parent meeting at the beginning of the year but I figure if they are anything like me they have lost the sheets we gave out and only vaguely remember what we said! If you would like your FREE copy just click on the picture below! I was also distracted from report cards because I won some great clip art from Erica over at Blooming in First Grade. So I just had to make something with them! In math we are working on our tricky teen numbers and my kiddos just LOVE a good game of I Have Who Has so I made a 0-20 version with Erica's super cute clip art. You can click on the picture if you would like to check out my I Have Who Has Game in my TpT store. 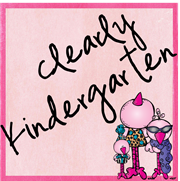 And last but by no means least......my friend Nicki over at Mrs. Thigpen's Kindergarten is having a 100 follower giveaway!!! It is big and you don't want to miss it!! The contest ends February 10th so head on over and check it out you won't be disappointed she is awesome!! This freebie is excellent- I will definitely be using this for our upcoming parent conferences! Thank you! !